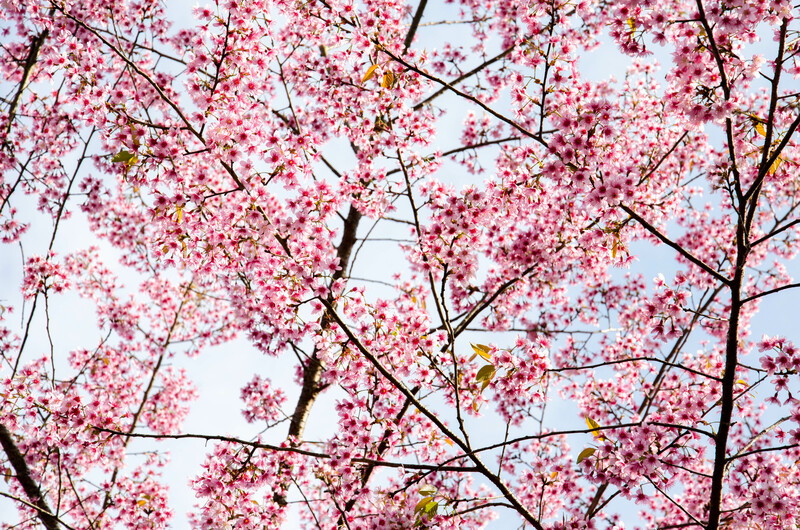 Cherry blossoms are not only reserved for Japan. 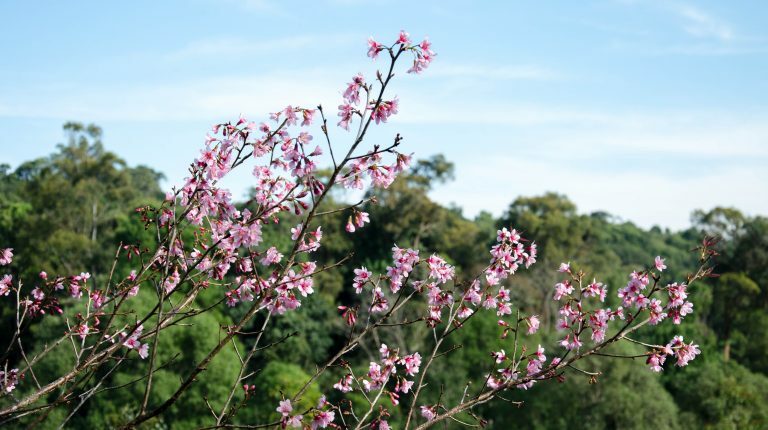 You can come to Chiang Mai and see their pink, little flowers in bloom right here, in the north of Thailand. The trip requires some effort and preparations, but you will not be disappointed. 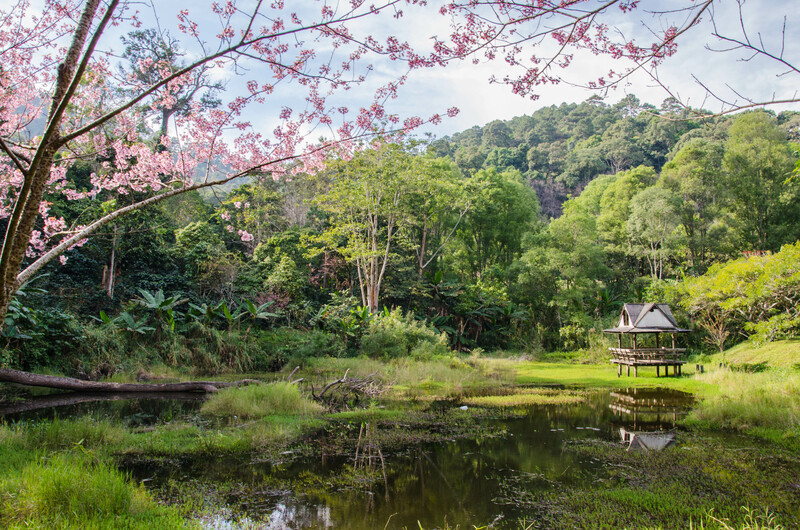 Cherry blossoms in Chiang Mai are as beautiful as you can imagine. 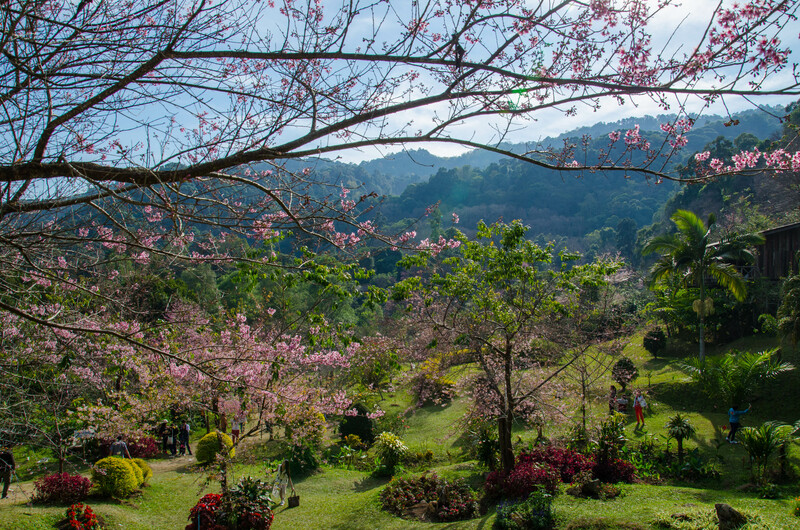 The cherry blossoms grow on the top of Doi Suthep, in the gardens of Khun Chang Kian Highland Agriculture Research Center, and you can only admire them during the cool season (End of December – Mid February). 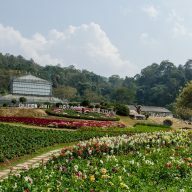 The Research Centre is under the operation of the Agricultural Faculty of Chiang Mai University, which also grows coffee arabica. When visiting the Khun Chang Kian don’t forget to have a cup of coffee at one of the small stalls. 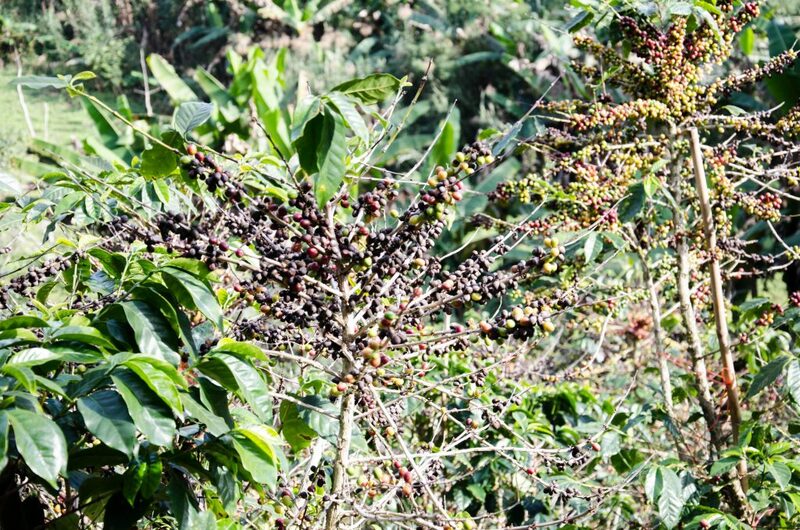 It is a perfect brew and it will satisfy the most demanding coffee drinker. The gardens where the cherry blossoms grow is not very big but is an ideal place for a very nice walk. 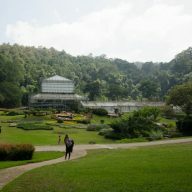 The place is very popular with Thais, who come here throughout the year to enjoy the cool and fresh air. The road to the Research Centre is not easy and you really need to be careful if you are driving your own motorbike. The little trails become very narrow, covered in potholes and worst of all: unpaved. Losing grip in the rubble is easy, especially if you’re going to fast. Depending on the time of day, you will also encounter a lot of oncoming traffic and since the trees make it hard to hear cars and motorbikes, you should always use your horn to warn other drivers before driving into a corner. Drivers with only a little experience will want to hire a songthaew either directly from Chiang Mai or from the area in front of Wat Phra That Doi Suthep, that is easily accessible on a scooter. 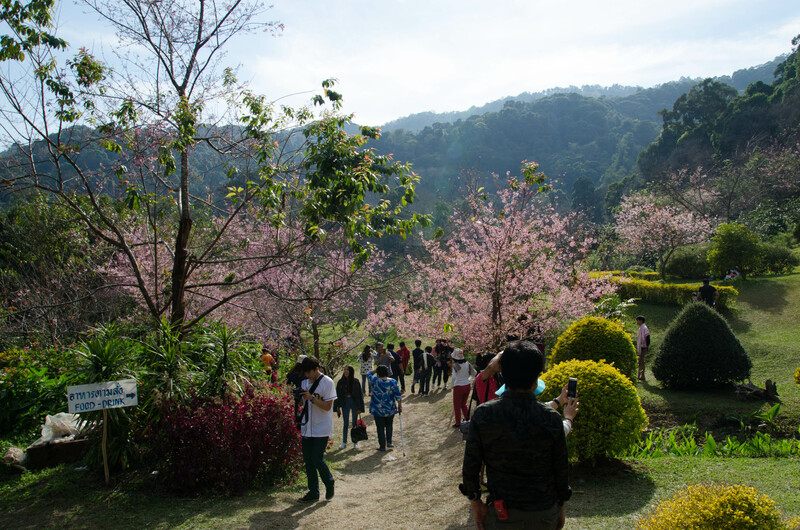 If you decide to go by yourself, you need to go further up after Wat Phra That Doi Suthep. You will pass a very nice viewpoint and then the road will turn into a small path, leading through the forest to a camping site. Continue through the camping site and continue down the road. 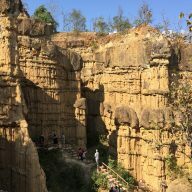 After a short ride, you will reach the Khun Chang Kian. You can also pay extra and hire a songthaew, or go on one of the organised tours from Chiang Mai. 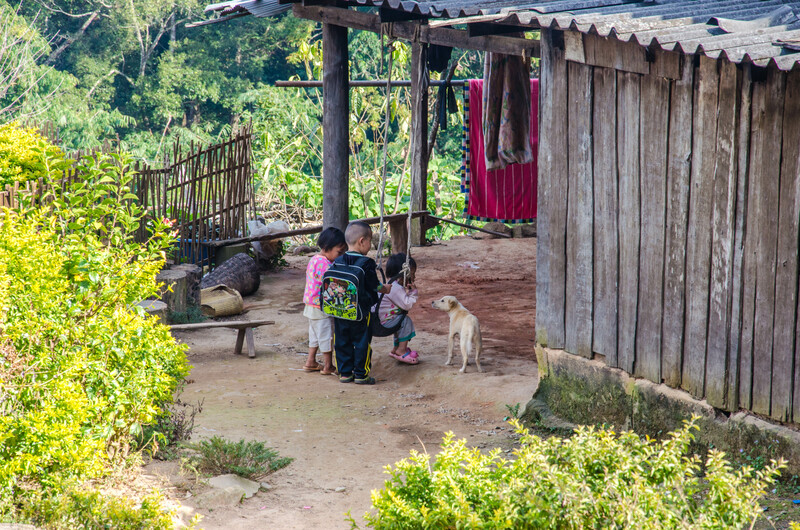 After visiting the gardens you can still go straight and visit the small village, which is at the very end of that route. It is nice to walk around and have a meal at one of the shops, selling everything from drinks to noodle soups.